There I am dressed to the nines with minimal makeup (probably just foundation, lipstick, and mascara), yet achieving a passable femulation; ready to trip the light fantastic, but, oh so closeted. Back then, the only time I went out en femme was to attend support group meetings because I feared that I would not pass in public. I was sure every person I encountered would see through my guise, then point, laugh, and inform the world that I was not what I appeared to be. I have long overcome those fears. When I am out en femme, I probably pass if no one is paying close attention to me, but close up and personal... not so much. And even then, I seldom, seldom, seldom get called on it. But passing is not important; experiencing life as the woman I really am is important. I just so regret that I did not begin the experience when I was younger, when I still could be considered "hot" some of the time. Not like today, when I could be considered "not so hot" most of the time. So don't let this happen to you. Get dressed. go out, and damn the torpedoes now! A very passable dare I say beautiful woman!! That describes exacly what I experienced and I would go so far to say that positive feedback from other people can improve your self-confidence (of course) and your passing as well. When i started my journey to my female side I wasted a lot of time thinking about passing. But in the end - passing worked best when I stopped thinking about a good passing. "If only I knew then, what I know now!" Stana, I stand with you and call all of younger sisters out! "Sisters be brave, be courageous, be proud, be you!" And of course do it with as much "ladylike" grace as possible! 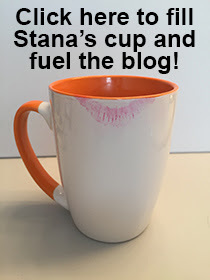 You are so right about this Stana! I too regret that I kept my femininity hidden during my younger years. There is nothing better than the freedom that I experienced when I finally allowed my femininity to the surface and out to the public. While the trepidation of going into the general public was almost overwhelming, it is no longer present and I have no qualms about presenting as the woman I am. The freedom to be who I am out in the general public is exhilarating and I sure wished that I allowed my true self to come out much sooner. You and all the others who get out and about are making the way easier for the rest of us. This is especially true when one of us gets to engage civilians, as our friend Meg would put it. I have become more fond of the term and the concept of 'blending' than 'passing'. As you indicated on close inspection you mostly do not pass (although my analysis of your posted photos would indicate that you are very passable) but you are accepted in the civilian population. You blend...you get along with people...you educate and enlighten. Every time a civilian has a positive encounter with one of us it is a good thing for all of us. Sort of like that bell ringing whenever a new angel gets his wings. Both events spread good feelings and joy. You continue to be a beautiful woman. I love your photo of 15 years ago – you looked lovely, and the ensemble you're wearing in it is just gorgeous, and oh so feminine. You look wonderful in all your recent photos, as well. What fun and how emotionally satisfying to be encased in such a pretty, feminine outfit! It's just in the last 3 or 4 years that I have become more comfortable out amongst civilians. I don't get out very often, but when I do, I really enjoy it. I used to feel disappointed that I didn't go out in public before these last 3 or 4 years, but I decided to just “enjoy the moment” and not bemoan missed opportunities in the past. The important thing for me is that I really enjoy my adventures en femme NOW. One way I look at it is … if I had gone out often in public when I was younger, I might not find it so fulfilling and exciting now, because my excitement and joy when crossdressed might have become “ordinary” after doing it for many years. Thanks to T-Women like you, Stana, it is now becoming easier for the rest of we T-Girls to have pleasant experiences in public. If society continues becoming more progressive and tolerant (as it is slowly doing), maybe in 25 or 35 years from now we T-Girls and our Transmen brothers will be “no big deal” when out amongst civilians. Never a more true blog. I so wish I had stepped forward to explore my inner feelings at a much younger age. I do not know how it would have changed me, but I suspect I would be happier now and so much less closeted. You "done good" on this one. Good job woman!!! Stana: If only I had known then what I've come to know and am accepting at 54! You look so feminine and poised and from what I can gather, nothing has changed. "I just so regret that I did not begin the experience when I was younger," you said, and I agree, I wish I had taken to my identity sooner, but what's done is done and I can only move forward and with the bravery and sage counseling you share with us here, that becomes easier by the day, for which you are owed a huge debt from all us! Hugs from a fellow Nutmeg State sister!